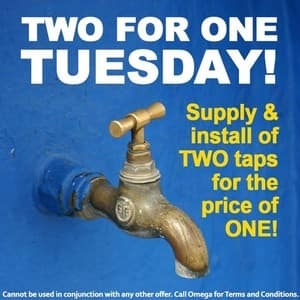 Also known as: Omega Plumbing If you need professional plumbers who turn up on time, communicate clearly and clean up afterwards, Omega Services the Sydney area 24/7 - Call now. 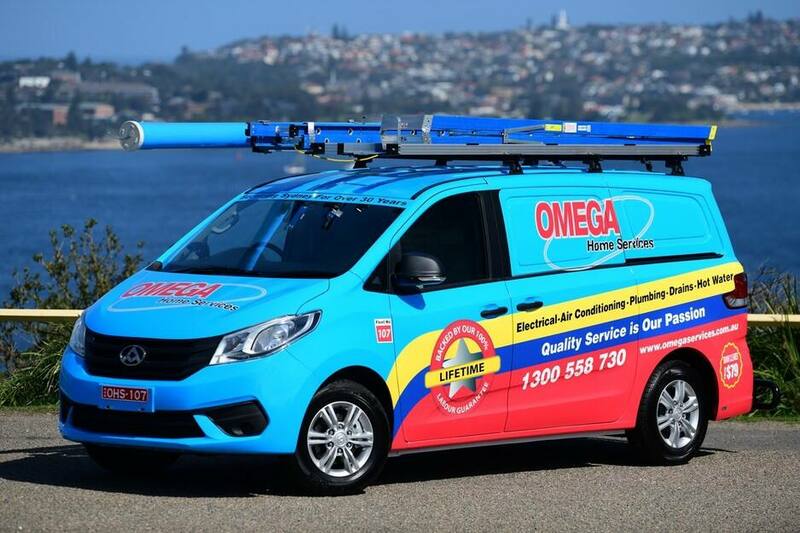 For fast, same day service for all your plumbing, electrical or air conditioning needs in Sydney, you'll be delighted with the great service, up-front pricing and rapid response you receive from Omega Home Services. Already trusted in tens of thousands of homes across Sydney for over 30 years, you can read more about the great Omega Guarantee and hear from our other delighted customers at www.omegaservices.com.au. Joe returned today to fix a problem with our pool switch. As usual he very polite, courteous & efficient. I would recommend him to any customer looking for electrical installations & repairs. I was quoted $3,772 to replace a 315L electric hot water heater that was about to fail. Unfortunately, I had no idea what these systems cost and was time-strapped. I also couldn't be without hot water with a toddler and a pregnant wife in the house! 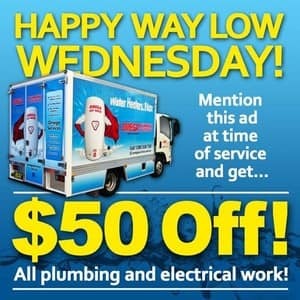 I later got quotes from other plumbers for the exact same job (they inspected in person) for $2,000. The unit costs about $1200 and install should be about $800 including all fittings and removal of the old unit. I can accept a certain "premium" pricing from a company but this is clearly taking advantage and gouging consumers in a situation where they're missing an essential service. Hi Joel. We are sorry to hear that you had a bad experience with Omega. We would like the opportunity to investigate what has happened and we will get a manager to contact you. If you would like to give us a call to discuss, please do so on 1300 558 730. Hi Wend. We are sorry to hear that you had a bad experience with Omega. We would like the opportunity to investigate what has happened and we will get a manager to contact you. If you would like to give us a call to discuss, please do so on 1300 558 730. My Hot water went, had to replace it when Warren looked at my circuit board, said that it was old and potentially dangerous (true - old ceramic fuse type) I thought the price was high too but it turned out to be good as they installed a temp. unit so that I would have hot water till fixed. the following day both the water unit & circuit board was replaced but they discovered that the wiring of the waterunit was really fried -also had to be replaced & due to the age & construction of my house that was not straightforward. A guy called Sam came & sorted out the tricky refit he was really very helpful. At the end of the day you need the job to be done so that all of the issues are properly sorted - all of the omega boys were courteous & helpful. Hi Jen. Thank you for taking the time to write us a review. It is great to hear that you had a good experience with Omega and our team. If we can help in the future, please don't hesitate to contact us ?? 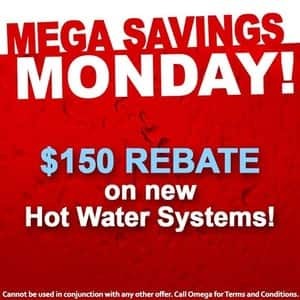 Words cannot express how disappointed I am at having chosen Omega Home Services to replace my electric hot water unit today. On the positive side, Omega professionally installed the new unit the same day from a cold-start phone call at 8am. Pre-sales on the phone and on call-out were reassuring and quickly earnt trust. The quality of the work was reputable. What's wrong is the extortionate pricing. Hi Corey. We are very sorry to hear that you and had a bad experience with Omega, it sounds like something has gone wrong. As per your discussion with our managers, we have emailed you a letter of resolution in order to proceed with the agreed refund. If you would like to disucss anything further, you are more than welcome to give us a call on 1300 776 426.